I was lolling around the house this afternoon, trying to talk myself into productivity, when I realized it was time for a cookie. 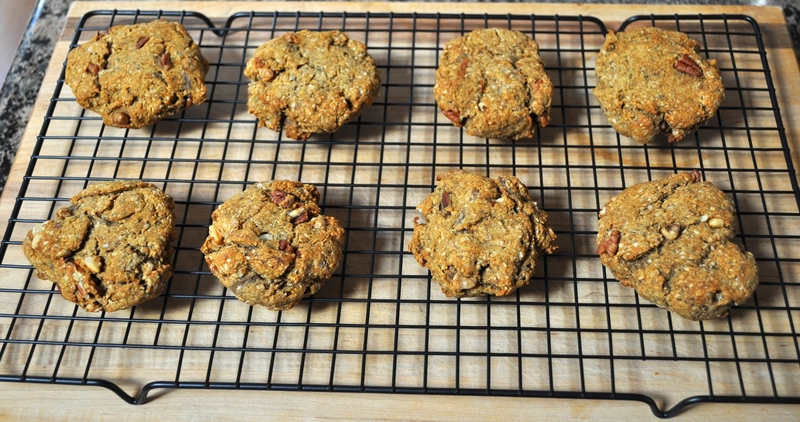 True, I call these gems “Breakfast Cookies” in the title of this post but what’s to keep me from eating them at all hours of the day? It’s not like I respect food-related social norms when it comes to regular breakfast (I like toast for lunch and pancakes for dinner). I made these cookies yesterday and was disappointed in them as soon as I started mixing the batter…or rather dough. Truthfully, this started as a banana bread recipe. I’ve made the recipe before and remember it being on the bready side for my banana bread taste. It was good, though, and I like the recipe’s simplicity. It seemed like a good testing around for my roasted bananas. Did I say bananas? I meant apple bananas. You can see from the picture that these short, stubby fruit don’t look like normal bananas. That’s because they came from a little grocery store down the street that sells Latin American products. I used to buy bananas like these when we were sailing in the Bahamas. Apparently they’re called apple bananas and their flavor can resemble that of apple or strawberries when they are very ripe, which they pretty much have to be to be sweet enough. I thought some roasting might do these three some good and I was right! It was all I could do to keep from eating the hot, gooey banana goodness before baking the bread, er, I mean cookies. Back to my disappointment upon mixing my ingredients. The intended bread batter was more like a dough – thick and threatening to dry out upon baking. I thought I struck out with yet another recipe (I’ve been doing that a lot lately) but I decided to shape the dough into giant cookies and bake it anyway. The smell while the cookies baked alone was worth it and the result was a huge surprise. These babies stayed moist and soft after baking and the roasted banana flavor did not disappoint. Even with only a scant amount of honey these cookies, as I’ve become more and more comfortable calling them, are perfectly sweet. 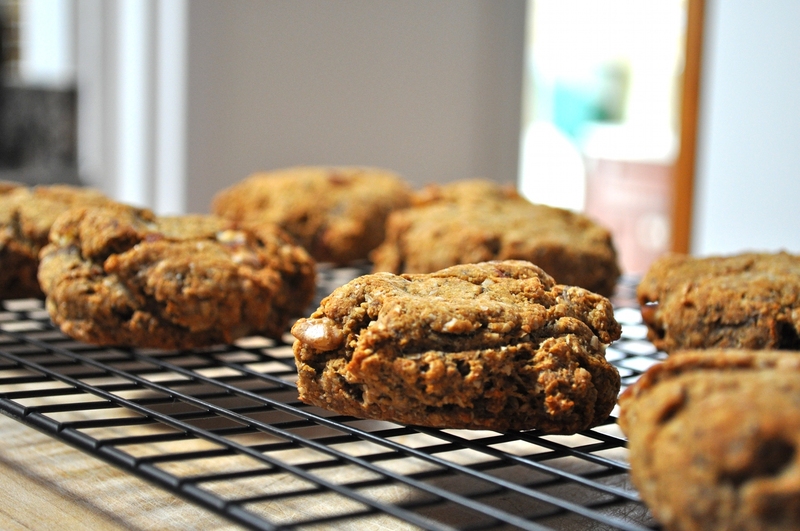 The nuts seem to have roasted as the cookies baked and taste better than any nut I’ve ever had in a cookie before. Since yesterday I’ve staved off evening munchies with a cookie, refueled after a run with yet another cookie, and will probably quell my dessert cravings with another cookie tonight. 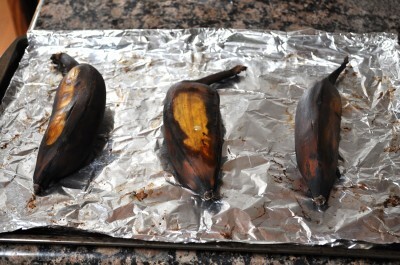 Line a baking sheet with foil (this could get messy) and place bananas, peel on, onto the foil. Prick peels with a knife to avoid explosions. 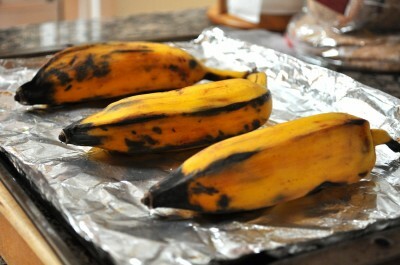 Remove bananas from oven and allow to cool. Meanwhile, combine flours, oat bran, salt, baking soda, and spices in medium bowl. Place butter in a heatproof dish and put it in the oven to melt. When bananas are cool, peel them and mash them in a large bowl. Add honey and mash thoroughly to combine. Add dry ingredients and butter, mixing completely. Divide mixture into 8-12 equal pieces, depending on how large you would like your cookies to be. What kind of muffin do you crave when I see stacks of them in bakery windows? For me, it’s blueberry. As much as I love to experiment with different flavors and ingredients, sometimes I have to go with the classics. When there are two over-ripe bananas on the counter and a bag of fresh from the farmers market blueberries in the fridge, what could I make but blueberry banana muffins? Also, I was hungry and had muffins on the brain. These came together quickly and made a perfect mid-morning snack. 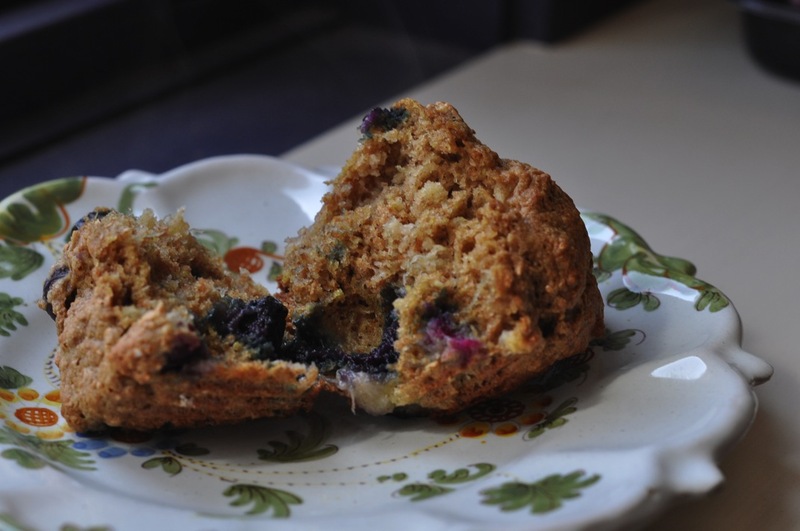 I ate my muffin hot, with gooey, scaling blueberries popping in my mouth. It was pure muffin heaven! 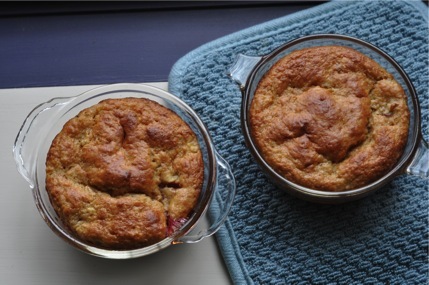 If you want a moist, sweet, fruity, whole-grain muffin, these hit all those high-points and then some. I changed the recipe I started with enough to make this one my own. There is no added oil and very little sugar. I doubted that 1/3 cup brown sugar would make these sweet enough but I went with it anyway. Turns out 1/3 cup was plenty of sugar! I guess my bananas were plenty sweet. Stir together all dry ingredients in a large bowl. Stir vanilla into wet ingredients. Add wet ingredients to dry, stirring until just combined. 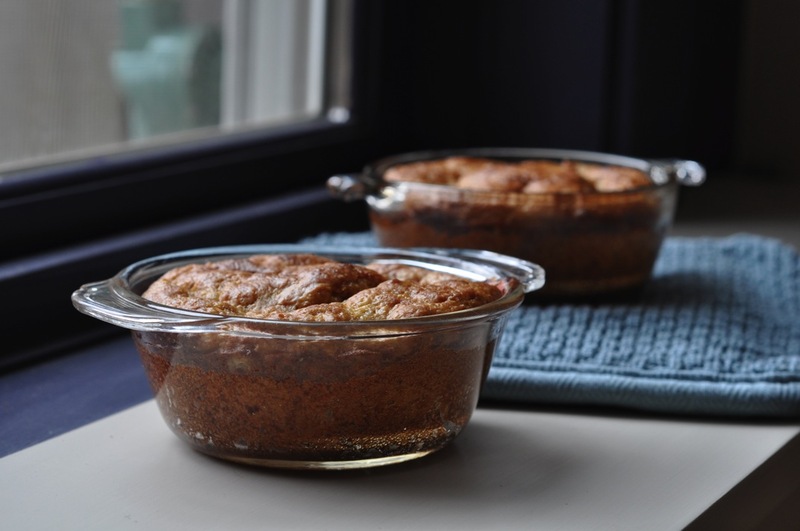 Spoon batter into muffin cups and bake at 375 for 20-25 minutes. 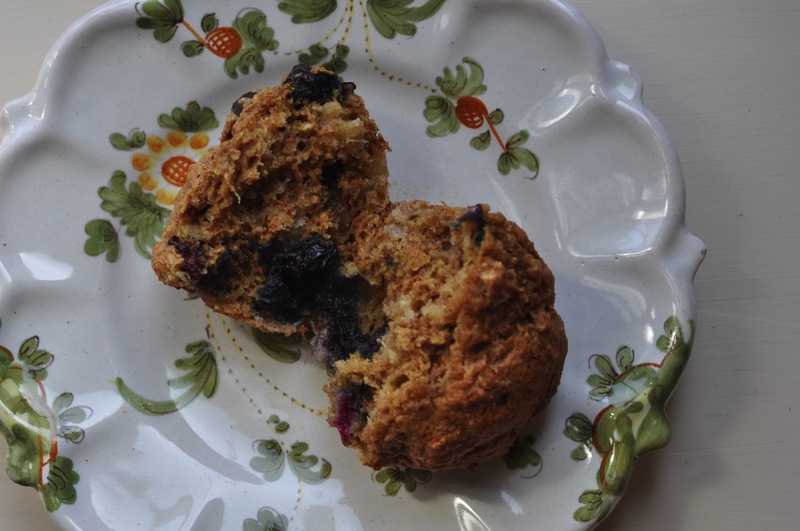 Eat HOT from the oven…but don’t burn yourself on a blueberry! 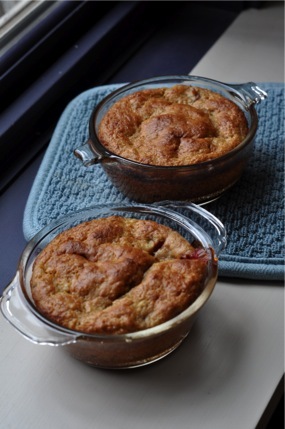 When life gives you smashed bananas, bake something! That’s my new favorite saying and these are my new favorite thing to make with smashed bananas. In June, when I was hit by a car on my bike in Annapolis, MD, I made banana bread with the battered bananas that had been in my backpack. This is probably the easiest way to produce baking-worthy bananas around here, since I eat them up faster than they can ripen. This time the beautiful bunch of perfect fruit I bought at Trader Joe’s in Manhattan went for quite a ride in our latest sailing disaster. By the way, I was so excited to find my favorite store blocks from where we were moored. I stocked up all my usual TJ’s fare. The sailing disaster was the scariest experience of my life so far. I’ll give the short version here but the full account is on my other blog, Pirat. It was 6pm, very dark, and Lee and I were finishing our dinner in the cockpit. I looked over my shoulder to see a breaking wave about to hit our boat. Chaos ensued. We had come upon an uncharted shoal off the coast of New Jersey (Who knew New Jersey could be so treacherous!). Several walls of whitewater knocked our boat on it’s side and the keel (heavy thing on bottom of boat) thunked against the bottom a couple of times. I thought we were going to be smashed to bits and have to be rescued. We made it off, though, and pulled into Atlantic City, where we’d been heading in the first place, within a couple of hours. Among the things to go flying down below was the bunch of bananas. I think Lee stepped on them while they were on the floor. I just stepped in the remains of my sweet potato from dinner. Yum. On to the baking! These granola bars were next on my list of things to make anyway so I was actually kind of excited to have all the ingredients ready. It was very satisfying and therapeutic to whip up a sweet treat during our recover day. 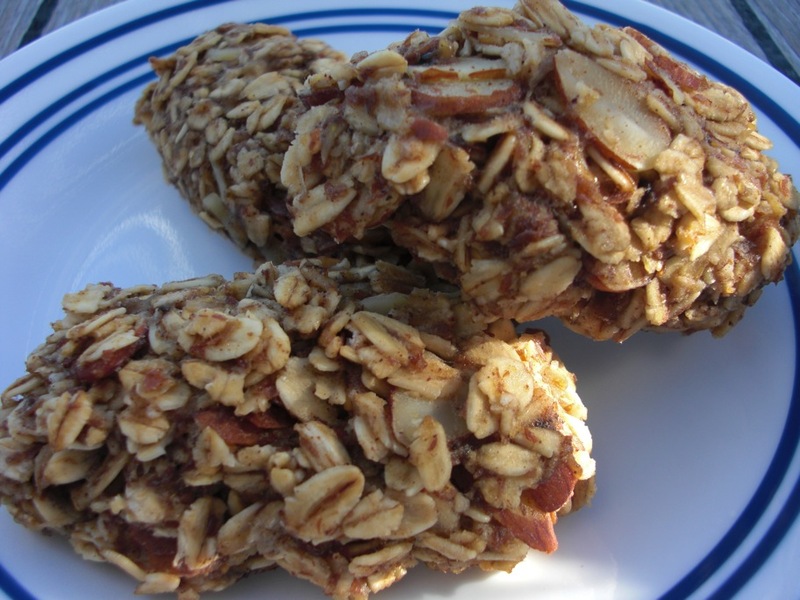 I based my bars on quite a few granola bar recipes from all over the place. As with granola, finding the perfect recipe seemed impossible. I’m too picky about what goes into a good granola bar. I did like the idea of using mashed bananas and they made the end product fabulously soft and chewy. 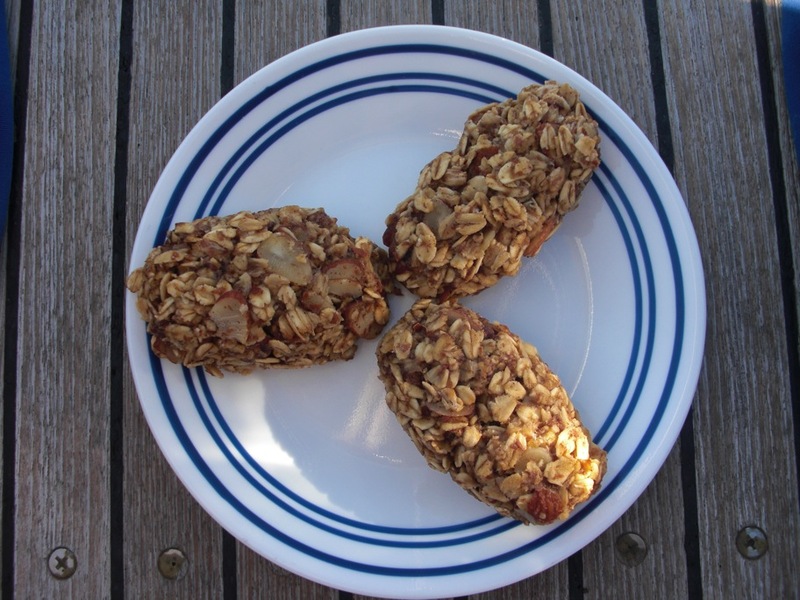 After enjoying the tasty combination of banana and coconut oil in my Banana Bran Scones, I opted to use coconut oil in the granola bars as well. It’s flavor is much stronger than in the scones and I love the banana-coconut fragrance these gave off when baking. Nut and fruit additions are totally customizable. I used slivered almonds and no dried fruit but I think chopped dates and walnuts or pecans would be delicious. I may try toasting the nuts for more flavor next time and adding a little vanilla or almond exratact. Melt coconut oil in a medium-sized saucepan over very low heat. When it is completely liquified, add bananas and mash them thoroughly. Add agave and egg and beat well till everything is combined. Pour the oatmeal mix into the saucepan with the wet ingredients, stir everything up, and add the nuts and fruit (if using). Scoop about 1/4 – 1/3 cup of the mixture into your hands. Shape it into an oblong bar (I found cupping my palms together worked well) and place it on cookie sheet with a non-stick baking surface (silicone mat or parchment). I got 13 bars of about the same size out of my mixture but you can make them as big or small as you want. 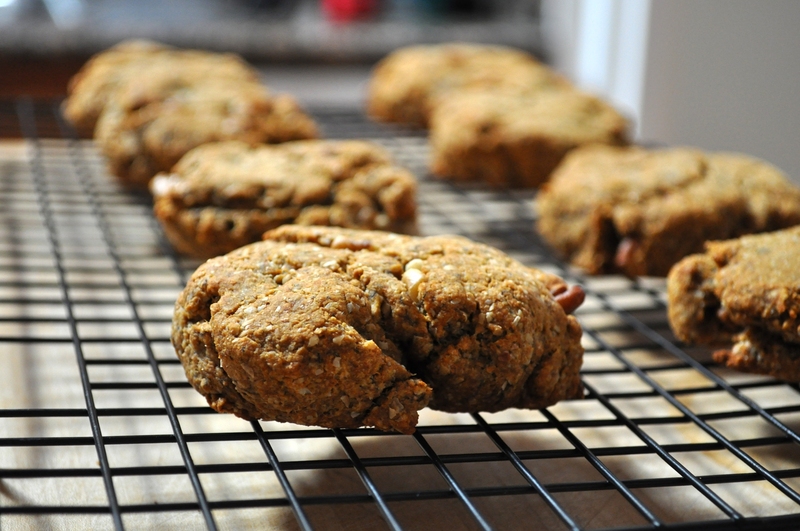 They also don’t have to be bar-shaped – make them round and they look like cookies! I do think shaping them rather than spreading the whole mixture in a pan and cutting it after baking is a good idea. The bars seem crumbly but they firm up nicely. Place on a wire rack to cool, and try a bar right out of the oven. Yum!